After an accident, you may have many questions about how to go about receiving compensation for your injuries. A personal injury lawyer can be a big help. This person can analyze your options, negotiate with an insurer, and file a lawsuit if necessary. 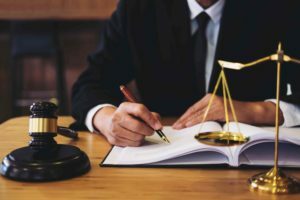 But you still might be asking, “Do I need a personal injury lawyer?” To fully answer that question, it helps to understand what a personal injury attorney does. How Does a Personal Injury Attorney Help with a Case? Act as a buffer between you and the insurance company. Your lawyer can answer all questions so that you don’t accidentally slip up and say something that hurts your case. Collects evidence, such as photographs of the accident scene and medical records. Your attorney can also interview witnesses. Analyzes how much your injuries are worth. It can be hard to estimate pain and suffering compensation, for example. A lawyer will use his experience to make sure you don’t receive less than other victims with similar injuries. Completes forms for insurance companies and submits supporting documents in a timely manner. A personal injury lawyer also negotiates aggressively with an insurer for full and fair compensation for your injuries. Without a lawyer, many people settle for too little. You can find a lawyer by looking in the phone book, searching online, or asking friends or family members to recommend someone. Remember to specify that you are looking for someone to help with a personal injury. The lawyer who handled your cousin’s divorce, for example, might be a wonderful lawyer but not a right fit. Also meet with potential attorneys for a consultation. You can ask them questions about their experience and how they view your case. Always make sure to pick an attorney you feel comfortable communicating with and who you trust. Yes. Insurance companies have one goal—to limit the amount of money they pay to clients. For this reason, you can expect an insurance company to aggressively defend any case and to look closely at your injuries. Don’t be surprised if the insurance company tries to partially blame you for your injuries. If all you have is property damage, then you can probably make a claim yourself. But if you’ve suffered serious bodily injuries, then an attorney is often a big help! Are you hurt and in need of legal help? Contact us today. One of our personal injury attorneys can go over your case and identify whether you have a valid legal claim and against whom. To schedule a free consultation, please call 831-901-3901 or send us an online message. Avoid delay. California law gives you a short window of time to sue and any delay could undermine your right to compensation. Can I Hire a California Lawyer if I Live in Another State?